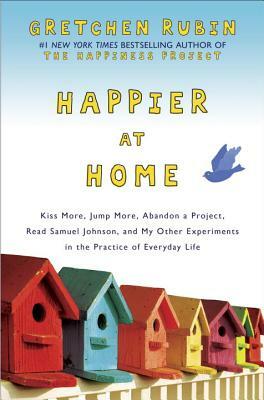 I have a very special treat for you today, as Gretchen Rubin had her publisher send not one but two giveaway copies of her brand new book Happier at Home: Kiss More, Jump more, Abandon a Project, Read Samuel Johnson, and My Other Experiments in the Practice of Everyday Life. For those who have been enjoying time under a rock for the past two years, Gretchen Rubin is the #1 bestselling author of the fan-frickin-tastic The Happiness Project. Rubin’s new book explores how she works to bring more happiness to her New York City home, which she shares with her husband and two daughters. She declutters, beautifies her surroundings, hugs and kisses her family, designs art projects and embraces good smells. It’s a wonderful companion to her previous book. She and I met up for dinner a few nights later, and I can testify that she’s as honest and lovely in person as she presents herself in her books. To enter to win Happier at Home, write one thing that makes you happy in the comments section. I will randomly choose a two winners Monday, September 10th at 9 P.M. PST. U.S. Residents only, please enter one time only. One thing that makes me happy — Seeing my kids speak Japanese. Now your turn, what makes you happy? One thing that makes me happy – a nicely organized kitchen drawer. Thank you! Working on an embroidery project makes me happy. I love picking the design, and the colors. The sound of my old dog and my not-so-old sweetheart snoring in harmony in the middle of the night – that’s happiness and comfort to me! One thing that makes me happy? My smiley little dog! Hugs from my daughter make me happy! What makes me happy: seeing my dog Tica filled with joy running along in the waves at the beach. A cat on my lap. My daily morning yoga practice makes me happy and sets the right tone for the rest of my day! I’m always happy when I get a morning at home with DH to relax, breakfast, read and enter the day slowly. One thing that makes me happy — reading to a grandchild! What makes me happy: Seeing the joy and contentment on my daughter’s face when we spend time together as a family. One thing that makes me happy is watching my nephew play. His cheerful spirit and enthusiasm are contagious. One thing that makes me happy – my morning cup of tea! “Unplugging” from TV, internet, email and phones for a day (or two) makes me happy. Of course, if I can be at the beach at the same time makes it even more enjoyable! I love taking a bag (or two) of decluttered stuff to my local thrift store. A sweet text from my daughter! Oh! This is on my to-read list! Recently, I’m happy for finding low-cost airline tickets, orange juice without pulp, leftover pound cake, and cherry wine! One thing that makes me happy–seeing my 2-year-old son playing gently with his 10-month-old sister. Baking something from a favorite recipe. 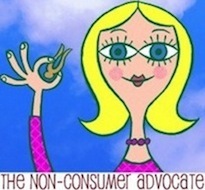 I am a professional organizer and it makes me very happy to help others let go of clutter. I like letting go my clutter too. And yes, organizers have clutter from time to time. Saturday morning pancakes with the family (made by my hubby) makes me happy. If it’s only one thing, it’s got to be massages. Drinking a cup of hot tea on a cool morning! A hike in the woods on a cool autumn day. Bliss! Nothing makes me happier than to hear my children playing together and getting along! Just the sound of it is amazing. My nieces and nephews call me “Aunt KK” and I get tickled when they feel the need to shorten that down to “Cake” or “Cakes”. My cats make me happy! Seeing people doing nice things for others or me doing something to brighten someone else’s day! Hearing my oldest son laugh with abandon at himself. He is so self-conscious and gets mad if we laugh at something funny that he does so it’s a treat when he loosens up and see the humor in life. Going for a walk outside with a friend makes me happy! One thing that makes me happy is settling down on my loveseat in the corner near the window with a book (especially a free or borrowed library book! ), cats arrayed nearby with a fresh cup of tea or coffee at my elbow. Bliss! One thing that makes me happy – random text messages from either of my children that just say “hi”. Fresh laundry off the clothesline! Farmers markets make me happy. Weekend mornings, when my husband brings coffee and the newspapers to read in bed! A lazy afternoon on the couch, with my kindle and my wonderful boyfriend. I love settling in with a good book after a long productive day. One thing that makes me feel happy is…..getting together with the family for a meal and laughter. The change of seasons makes me happy. I am happy when I see math making sense for my son. We have been struggling with this since 1st grade. saving money makes me vey happy! It’s a game to me! The sound of my children laughing together and having fun. Uncongested streets on a holiday/Sunday (I live in a big city). Today’s breakfast made me happy-a leftover potato and spoonful of roasted vegetables sauteeed up with local onions and kale and topped with a local egg. Half a bagel made in a local shop on the side, topped with homemade pluot jam. Love the triple play of eating locally, having a big serving of veg for breakfast , and cleaning a couple of odd bits out of the fridge! My childrens’ laughing voice and my dog welcoming me home with wagging tail. One thing that makes me happy: sleeping on freshly laundered sheets. What makes me happy – decluttering! Agreed! Is anything better than a drop off to Goodwill? My daughter climbing into bed with me in the morning and giving me a huge hug. A cup of green tea or coffee, a piece of chocolate and good conversation with a friend…all at the same time. Drinking a cup of tea and watching my son dance around the living room. Watching my cat sit in the window and bat at falling snow. It makes me happy to have the freedom to decide how to spend my time in the pursuit of raising DS / taking care of DH / practicising self sustaining and low consumer lifestyle. Now that I have a second job, having enough money to get through the month makes me happy! So much makes me happy – dog snuggles, husband hugs, talking to grown children, sunny days, and so much more. Making homemade soup on a rainy fall day makes me happy. An organized home, calm surroundings, spending time with those I love, a kind word from a stranger, finding a penny heads-up on the street! Having spent quality time with my dad before he died. The sound of my family laughing. Seeing my husband across the room when I am at some social gathering. It makes me feel safe. Crossing a task off my list makes me soooo happy. Spending the an evening in Boston with my best friend, eating good food, catching up, wandering around and laughing. Priceless!! Taking a nap on our screened in porch! I love seeing my son be nice to someone. I also really love seeing my son and father interact. Eating dinner with my family every night at the kitchen table, even if we’re only serving a simple meal. Volunteering for my kids’ school makes me happy! Quiet rainy day with a pot of soup, fresh bread, a great book and my knitting close by! Listening to my kids speak in a language I barely understand! The smell of rain when it falls on the ground after a hot summer, the sound of thunder and watching lightening from a safe location. My pregnancy makes me happy and can’t wait to meet our baby girl!!! Seeing my husband and our children interact, play and goof around with each other makes me SO happy……..just about “teary-eyed” happy!! I love going to a garage sale, finding a “Free” box, and discovering something in it that I can really use. My last “free” box find was a large jar of hand soaps! Sitting in a comfy chair knitting on a rainy afternoon makes me happy! My life makes me happy. Dropping off spare reams of looseleaf paper at the aid center that my daughter left in her room after she moved out. Also shopping for school supplies to bring to the aid center so no child will go to school without pen and paper. The change of seasons; orchards, apples, pumpkin and fall smells oh my! Singing the abc’s with my toddler before bed. Taking after dinner walks with the kids! One thing that makes me happy is my kids’ laughter. We have had enough hard times in our lives to make the sound of their laughter simply beautiful. Reading a good book makes me happy!!! Reading in my red chair, in my little red house, and getting visits from my wonderful daughter and her family. Took my rescue dog to obedience class and realized that he is very smart! Our little dog Macie makes me happy. She is just sweet and cuddly and full of personality and kisses!! Flying airplanes makes me very happy. Seeing the ground from that height and knowing you have the ability to go there… there’s nothing like it! One thing that made me happy today was making a non-dairy ranch-style salad dressing using herbs we grew on our balcony. Well, the basil, anyway… I guess it doesn’t have to be perfect to make me happy! My library makes me ridiculously happy. I love it. That my 2 boys & daughter, all over 20, still hold my hand when we’re shopping. AND, never are embarrassed when I start singing. Doing crafts with my two granddaughters makes me happy. They are both so creative and come up with some really amazing ideas!! Having a dance party with my kids and listening to the baby laugh. At the end of the day, sitting in my own bed, reading a book or doing a crossword puzzle. Perfect introvert downtime! My six year old b/g twins playing together. I own and have read “The Happiness Project” many times and have really enjoyed this book. My granddaughters sing to me on the phone from many miles away. Getting emails from far away friends makes me happy. I just moved to a new city and making friends is slow, but knowing old friends still think of me makes it all so much easier. I like to end my days satisfied that I’ve done something worthwhile during the day, even if it’s so simple as ironing a few shirts or maybe having accomplished some long-put-off chore. These make me feel good. Reading a good book makes me happy! Spending time with my grown daughters and with my aging parents makes me happy. Life is too short not to spend as much time with them as possible. They all live in other states so opportunities are rare. The Saturday swim up in the mountains at Ellison Creek..a cool emerald green pool hidden about a half hour hike back in the woods. I’m thankful for children who give hugs and kisses and tell you that you’re a great mom and you know they don’t have any hidden motives. ;-). It’s just because. The thing that makes me happiest is snuggling with my fuzzes (aka cats). Baking makes me happy–taking ingredients that look like nothing special, and turning them into treats that make people smile! My kids making awesome chalk maps and drawings on our driveway this week. My son decided to draw NYC and “live” there and my daughter decided to live in the country. Of course they drew a road between their two homes so they could visit with their hot wheels cars! Finding a letter from a friend in my mailbox. Making quilts makes me happy. The thing that makes me most happy is when I see something “click” in my children’s heads – when that concept I’ve been trying to teach them finally makes sense. Love it! All 5 members of my family crammed into a bed before sleep, reading the latest family book. That makes me happy! One thing that makes me happy is listening to the music of Rick Springfield! One thing that makes me happy is taking a walk with my dog (t-bone), my husband, and my son. Ice skating makes me happy–three strokes and all I can think about is the joy that comes from feeling of gliding effortlessly across the ice. Sending (or receiving) handwritten cards and letters! Spending very little for necessities makes me happy. Today I got $30+ of groceries for $6.55. Spending time with my family. We have four kids ages 4-16, and work, school, sports, and other activities often get in the way of family time. I’m most happy when we can all sit around together. Even if it’s just for a quick drink at the Starbucks before volleyball or soccer. Seeing my kids happy makes me happy! Making bruschetta with the home grown tomatoes and basil that are abundant right now. When the grands come to visit and leave their fingerprints on the glass doors, I’m not in a big hurry to wash them off. I take a few days to enjoy the evidence that children have been in the house. A walk along the beach with my family. My kid. So cliche and so very true. Being my son’s den leader in boy scouts. More fun than I could have thought possible. Taking a good photo of all three of my kids together. It’s tough to do! Two things that immediately come to mind when I think about what makes me happy are a good glass of wine and hearing my 3 year old daughter laugh (not necessarily in that order). I am happy when I can sit on the front porch and drink my coffee. Last weekend was especially nice because it was a teensy bit cold! Making homemade things that make others smile – that really makes me happy! Seeing my 11 year old son play with kids of all ages at our homeschooler park day makes me happy. Laundry day makes me happy: stripping the beds, washing the sheets and hanging them on my line, then putting them back on the beds before the sun sets. The smell is fantastic, and it always feels like a day well spent. Standing on my deck and watching the sun set over the ridge. Having my 3 adult children home around the dinner table with wine and my son’s home-raised beef and good conversation makes me very happy. Holding my hub’s hand when we walk down the street. Leisurely making waffles from scratch on Sunday mornings! Helping someone else learn something. Enjoying a delicious meal with great friends! Seeing my son so happy and confident in asking a girl out of his first date. Homecoming dance here they go! My two year old falling asleep with a book. One thing that makes me happy is seeing my seven year old daughter devour her stack of library books before we even make it back home! Having all my children home for Christmas and doing our traditional Christmas craft even though they are all grown up. Blowing mental kisses (so no actual sounds or facial movements, because that would just be creepy) to people while riding the subway or while stuck in traffic. A nice momentary feeling of connection with total strangers and a jolt of happiness for the mental kisser. Sitting on my screen porch enjoying nature – the birds and squirrels do not know I am there and watching them shows me that life is good if I just follow my instincts and God-given abilities. One thing that makes me happy – hearing my son giggle when he sees or reads something funny. Seeing the world within a just-bloomed orchid. Growing great food in my garden makes me very happy! A perfect day “up north” in Michigan, a walk along Traverse Bay on Old Mission peninsula, some gardening, a stop at my favorite consignment shop called Zany’s and a quick trip to Glen Arbor for lunch outside at the Cherry Republic…….all with perfect sunny weather. It makes me happy to see my sleeping son’s face after he’s been wide open all day. So peaceful…and still! Canning produce from our garden and fruit from local orchards makes me happy. Putting food by is a way to ensure smiles in the middle of winter, too! Ooh, yay! My library doesn’t have this yet and I’m eager to read it. I’m happy when I look back over the photos of my daughter’s first year. We’ve been doing a picture-a-day thing since age was born and age just turned 10 months. There have been some amazing changes! Petting my dogs, and they moan when I do it. Then they like to lick my face. Seeing my son, who is on the autism spectrum, play with his new friends. Taking care of my 83 year old Mother – a blessing. Practicing the rituals of my Catholic faith brings me peace and joy. Watching my two girls play together (without fighting). Seeing my baby girl smile every day. Playing with herbs makes me happy!! I love when our 4 grown kids get together and have some much fun together doing absolutely NOTHING. My daughter’s smile makes me happy. Especially the smile when she’s sleeping that is prompted by whatever she’s dreaming of. Looking at the night sky. Spending time with my beloved man. It doesn’t matter what we do or where we go; just being with him makes me happy. Hearing my kids laugh together makes me happy. My two sons make me happy. My husband and I struggled with infertility and multiple miscarriages, so these two little miracles are such blessings to us. Hugging my hubby and kids! Spontaneous hugs from my sons. Spending time with my two 4 yr old grandchildren. I love those two more than anything. Watching them play together is so much fun! Lazy Sunday mornings make me happy. A time to slow down and be with my family. My boy went on the potty for the first time! Watching my big dog Brody roll on his back in the wet grass – pure joy! My baby girl’s smile – somewhere along the road, we forget how to smile with our whole self behind it. My 12 year-old son asking me for a “comfort hug” after his first day of middle school. Having my kids (8 and 5) ask if they can help me do something. Like cook! When my husband hits the snooze button on the alarm clock so we get 9 minutes of snuggling. A cool rainy day, a hot cup of tea, a good book, and knowing I don’t have to go anywhere for the whole day! Watching my boys play in the backyard together. Helping a patient achieve their goals (I’m a physical therapist). Rain on a lazy day! Dusty and Diamond sleeping by me (kitties). The news that my first born is getting engaged! Folding laundry while watching 10 minutes of Grey’s Anatomy during a very busy day. eating fresh veggies out of the garden that I grew myself! Watching the hummingbirds come to my feeder! Smelling my 2-year-old’s hair after she takes a bath. Seeing my children read simply for the pleasure of it…not because they “have” to. One thing that makes me very happy is painting in my nook at home. I’ve painted my way out of several unhappy situations! Hearing my girls giggle together always makes me smile. Hearing my daughter read a story to her little brother. As cliche as it sounds, my kids make me so happy!!! I will say, though that I also love cooking from scratch – saves money and my family loves it! Getting a great find at a yard sale or thrift store! Seeing the leaves change, and the tourists leave! Here comes fall in the Northwoods of Wisconsin!! Walking my dog along the river after a rain. Watching my granddaughters play with their moms old toys at my house…talk about recycling!! Just hanging out with my husband–not doing anything special, having no agenda for the day, just letting the day unfold. It’s the best! The unconditional love of my pug, Spike never fails to bring a smile to my face. spending one on one time with each of my kids and just letting them talk. Its amazing how they’ll open up and share when provided the opportunity. When my husband gets home early from work! Kisses from my two little guys, makes me pretty darn happy. Really, money can’t buy happiness. Love this challenge. Drinking a cup of tea on the patio in the mornings. A bowl of popcorn (popped the good way – in a pot with oil) and Saved by the Bell on Netflix. Big two teethed baby grins! Happiness is spending time with our adult sons – they have grown up so fast! Finally getting my boys into their newly painted room this weekend! One thing that makes me happy……when my husband does the dishes for me. Seeing our grown kids happy and settled, and us enjoying our new-found freedom! Mornings with sunshine streaming through my window, coffee, and a snuggly kid. Riding my bike to work! Taking my kids to the library each week. One thing that makes me happy – being warmed by the sun on a cool day. Water ski show season just ended-the kids had a fun, learned new skills and only had minor bruises. Hanging out with my daughters makes me happy. Family dinners with 3 generations makes me happy. Spending time with family, traveling the world and baking make me happy . I love learning about other cultures and the everyday life of people. For some reason baking calms my mind, it’s my meditation. When my dog discovers a new place to hang out in, like our cozy window seat or by the stair bannister to say hello to me as I go down the stairs, this makes me happy. Thank you Katy. When it rains, so I can stay indoors and nest. Just one? Gee that’s hard. Today it’s sorting through things to give away. Nice to see them go elsewhere and get used. The big smile on my 5 yr old daughter’s face during her dance class. As a former dancer, I am so glad that dancing gives her such joy as well. Seeing Bill Clinton speak LIVE last night. Hmmm…. rainy days (I live in the SW), eating ice cream and reading with my son. Picking fresh tomatoes from my garden. Sometimes I will eat one before I even make it into the house. Picking raspberries in my backyard makes me happy! being able to sit and knit something for someone in need. camping with my kids & husband… there’s nothing like it! Seeing my very responsible 21 year-old son happily load everything up for his move back to college for his senior year. I really miss him, but witnessing his happy, independent spirit makes me happy, too! What makes me happy is watching my children find wonder in the everyday world. Baking cookies to send to my brother-in-law in Afghanistan. Getting hugs and kisses from my kids makes me happy. Sewing–being creative always makes me feel productive. The smell of sun dried laundry. Seeing how grown up my sixteen year old has become. The smiles on the faces of my two sons when they see me. Crisp fall days make me happy! A peaceful afternoon at home with no where to be. One thing that makes me very happy is when my bed is freshly made with clean sheets that were washed in homemade laundry detergent and hung outside to dry on the clothesline. The bed is cool, crisp, and fantastic smelling! Ahhhh … bliss. The sweet baby smell of my two sons’ hair after a bath. One thing that makes me happy is volunteering at our local no-kill animal shelter on our open Adoption Day every month. That is my favorite day of the month–especially when we have a lot of adoptions of our cats and dogs. one thing that makes me happy – the smell of coffee brewing first thing in the morning! Seeing my infant son blow raspberries. Being lucky enough to ride my bike home from work with my fiancÃ©. Watching my little boy – with Down Syndrome – having a belly laugh while playing with his brother and sisters. Watching my cats play together. Still being madly in love after 25 years. I still can’t wait to see my husband every day! getting on our motorcycle and taking off to destinations unknown. Putting things I don’t need/want anymore out on the curb and having them magically disappear by the morning. I call it the “Miracle of SE Portland”. One thing that makes me happy- waking up feeling refreshed and inspired! One thing that makes me happy: waking up on a rainy Saturday morning when we don’t have anywhere to be. I like listening to the rain but not driving in it. freshly wash and dried bedding! Smelling so fresh and clean…. One thing that makes me happy is seeing my family laugh together. My husband and I have three children, 16, 18 and 22. It’s wonderful when we get together and have fun and laugh. One thing that makes me very happy – walking into a clean kitchen! playing in the garden with my 2 kids! The pink bathroom in my midcentury-modest home. Watching my children explore their interests and find their passions. One thing that makes me happy, besides my kids, is the smell of fresh peas cooking. It reminds me of my childhood when we would sit and shell peas with my grandparents. Watching my grandchildren play and laugh! One thing that makes me happy is watching my students learn not only the language that I teach them, but about life and the world and how to interact with others and respect differences. Once they understand that everyone is different and each person has a different culture, the world becomes a friendlier place. One thing that makes me happy is: having my two grandsons for the weekend; cooking wholesome, healthy food for them; and watching them eat it up!! Right now, I am so exhausted that sleep makes me happy! My 16 year old son works at 5 Guys, is a 4.0 student and has high aspirations to become an anesthesiologist. Last night I needed to leave him a message at work. I spoke to his manager, ( only 21 himself) and as I was hanging up said ” uhm.. patrick’s mom, Can I tell you what an amazing worker your son is, and how lucky I am to have him”. Yep, this mom was smiling when she hung up the phone. It was a nice thing to hear and made me quite happy! One thing that makes me blissfully happy…my library card. I so LOVE to hear my family laughing, individually or as a group. Laughter just about cures all, in my opinion. Watching my kitty sleep makes me happy. Actually, watching my kitty do anything makes me happy, he’s too cute! Hitting my target blood sugars make me happy…and those close to me! One thing that makes me happy is listening to a book on CD while driving my car. One thing that makes me happy is falling asleep in the sunshine. Makes me happy just thinking about it! Making headbands with my friends to send with a friend who is moving to Kenya to work with abandoned babies! I can’t wait to see pictures of them! One thing that makes me happy is the smell of laundry fresh off the line. Tomatoes from my garden make me happy! It makes me so happy when I pay a stranger a geuine compliment or speak a kind word to someone who could use a smile. It is so much fun to strike up conversations and make new friends with mamas of all ages and open the door to share life experiences. Snuggling under my favorite quilt on a cool crisp morning. The smell of fresh baked bread. Hugs. Waking up next to the love of my life every morning. The aroma of my line-dried linens makes me happy and leaves me with the feeling that the simple things matter most. One thing that makes me happy- watching my kids play together. Making holiday pies NOW, and freezing them, so when holidays come, I have pies with absolutely no effort, made with the most wonderful apples ever, which are only available NOW. Next up crisps, then apple butter!! Whoo-hoo!! One thing that makes me happy is being able to spend time with my husband on lazy Sunday mornings. When a new poem is FINALLY finished—when I can look at it and claim it as something only I could say! Getting together with friends to enjoy each others company! The smell of garlic and olive oil cooking, it gets everyone into the kitchen! One thing that makes me happy is the morning cuddle my husband, dogs, & I do for 15 minutes when the alarm goes off. Best way to wake up ever! One thing that makes me happy – Being able to be generous towards others, because I have recognized where I stop with my own consumerism. One thing that makes me happy…. spending lots of time laughing with my friends and family. I just love hearing people laugh, especially the ones that are so contagious that it makes you laugh even harder (maybe snort or “tinkle” in your pants – you know what I’m talking about), the kind of laugh that you actually stop inhaling and your face turns red and you start to cry! Pure amazement and joy, I love it and it truly makes me so happy. One thing that makes me happy: laughing with my husband. Great giveaway! Loved her first book and can’t wait to read this one! watching my brother marry the love of his life this weekend. A really good book always makes me happy! I enjoyed The Happiness Project and would love to read Gretchen’s new book. chickens in our backyard!! Thanks for the fun giveaway chance…. My kids seeking one another out to play together. My family makes me happy–knowing they’re here with me, healthy, and safe. My husband coming home for a cozy supper after a long day…. In the morning, while having my coffee, I love to watch the birds at my water fountain. My sweet puppy makes me ridiculously happy! Watching my husband run around our house with our dog. Thanks for the giveaway opportunity! Love the blog. Long time reader, first time commenter! I am happy reading your blog 🙂 It really, REALLY inspires me to live on less! Being debt-free makes me very happy! My dear sweet dog Zeke who is the epitome of love! Time with my husband in front of the TV with some hot chocolate. I especially liked that you shared the screen with the news that a cockfighting ring was broken up. Wish I could see your four minutes! so excited to read her new book! Watching snowflakes land on my daughters eyelashes! Previous post: Help a Reader — What to Do When Money is Beyond Tight?